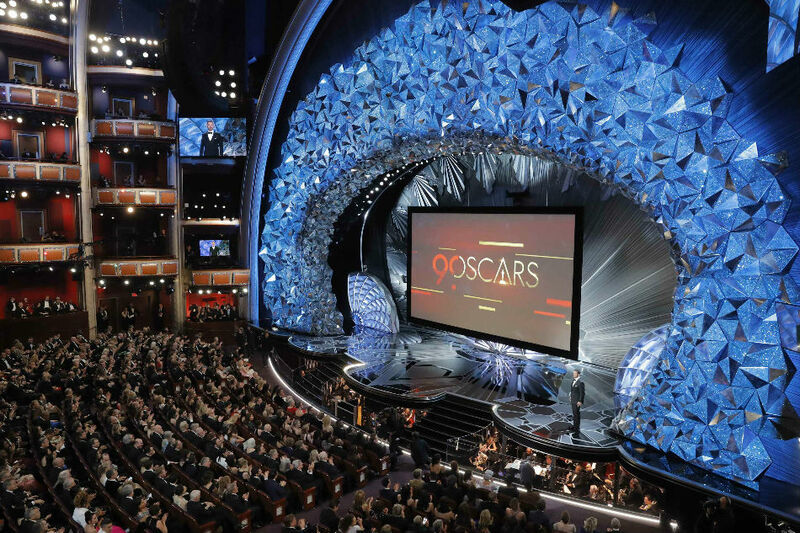 The Academy Awards attracted its smallest U.S. television audience ever on Sunday, according to Nielsen data reported by Walt Disney Co.'s ABC network, tracking a similar slide for other recent award shows and sports events. Live TV broadcasts remain relatively attractive for advertisers because watchers cannot skip commercials, with prices for Oscars ad spots climbing despite 2017 viewership, which was the smallest in nine years. The nearly four-hour live show averaged 26.5 million total viewers, according to Nielsen data in an ABC statement, down from 32.9 million in 2017 and below the 32 million in 2008, now the second-least watched year. The figures do not include digital and mobile viewing. Advertisers covet live audiences because they are more likely to view commercials than those watching recorded shows and events, driving pricing higher even as viewership shrinks. ABC owns broadcast rights for the Oscars through 2028. The 90th Oscars, still expected to be 2018's most-watched nonsporting U.S. television event, honored romantic fantasy "The Shape of Water" as best picture. The event built on the socially conscious tone of its past few years with themes of female empowerment and activism, but lacked any shocking moments like 2017's best picture mix-up. Late night talk show host Jimmy Kimmel, host for the past two years, skewered industry-roiling sexual misconduct allegations and reports of gender-based pay disparities, while best actress winner Frances McDormand called for "inclusion riders" to boost Hollywood diversity. ABC sold out its ad inventory for Sunday's Oscars broadcast and charged $2.6 million on average for a 30-second spot, a person with knowledge of the matter said. That was a jump from $1.91 million in 2017, according to research firm Kantar Media, which said ABC generated $128 million from the 2017 telecast. The Grammy Awards in January attracted 26.1 million television viewers, its smallest audience since 2006. February's Super Bowl professional football championship, the most-watched telecast of the year, saw its viewership decline 7 percent from a year earlier to 103.4 million. ABC offered the live show on abc.com and the ABC app to those with a participating cable or satellite subscription in certain markets. It was also available on live TV services that stream ABC. The telecast attracted 18.9 percent of viewers in 56 major markets, according to Nielsen’s preliminary overnight metered market household ratings, an ABC spokesman said earlier on Monday, down from 22.4 percent last year.